Every time I walk into a yarn store I become enamored with hand-painted yarn. My pupils dilate, I grab a skein and cuddle it to my face, naming it Fluffy and promising to bring it home to be made into something amazingly beautiful. I bought this Manos del Uruguay skein while in Alaska (read about our Alaskan adventures on Off to Earth) because it reminded me of the aurora. 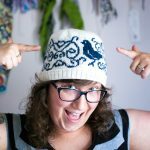 Whenever I get settled in at home after buying such a skein, I log into Ravelry and check out what’s been made with the yarn. And I’m almost always disappointed. A pattern featuring the Manos del Uruguay Alegria yarn. I know some people love the way this coloring looks, but I can’t stand it. The way these beautiful skeins knit up into a barfy, disorganized mess makes me want to cry. In my head, I always imagine a finished knit that gradually fades from one color to another, like the skein, even though I know it won’t happen! What I’m really looking for is a gradient yarn, like these, but I keep buying variegated yarns instead. A small number of rows in the variegated yarn color separated by a solid color. The separation of color lets your eyes make sense of the color changes in small sections, giving a sense of organization. Each bubble in the sock below is kind of like a tiny window. Tall or dropped stitches. Taller stitches seem to give the colors some room to breath and the color changes don’t seem as abrupt. I didn’t see any examples, but I imagine treble stitch crochet would look pretty awesome as well. Linen stitch. The exact opposite of long/dropped stitches, the way colors mesh in a tight linen stitch seems more pleasing than stockinette / garter stitch. Plan the pooling of your colors to create a pattern. I’ve thought about tackling the task of planned pooling for a while now. Planned pooling allows you to create a pattern using a variegated yarn using a bit of math. I’m not sure I’m totally up for all of the planning this entails since I usually like to wing it, but it’s definitely worth a try. Learn about The Art and Science of Planned Pooling by Karla Stuebing. 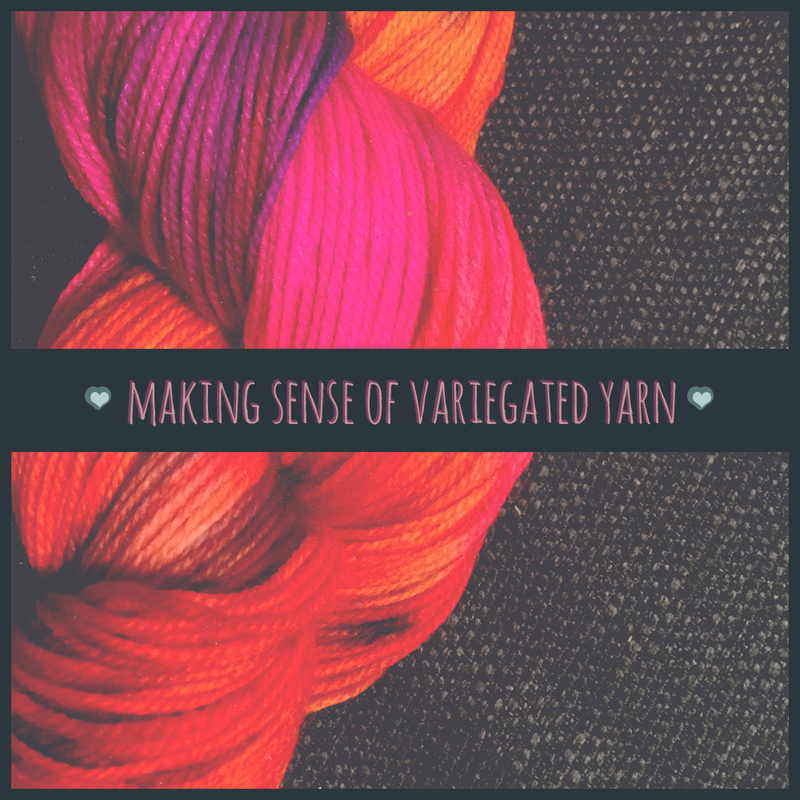 Do you have any go-to patterns for variegated yarn? Loved this!! My thoughts precisely – loved this essay!!! Thank you, Cathy! 🙂 Do you have any of your own variegated yarn tips?